Only Google Asus Nexus 7 2013 FHD Tablet. CE / FCC / RoHS certified, tested by the manufacturer to match and / or exceed the OEM specifications. 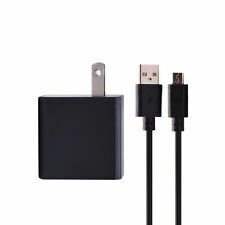 Use only for Nexus 7 1st and 2nd Generation including Wifi and 4G version. 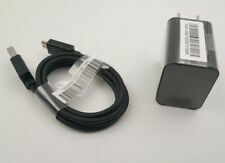 Tablet to USB-ready computer or USB hub for data transferring. This cable connects your digital reader /. Use only for Nexus 7 1st and 2nd Generation including 4G version. 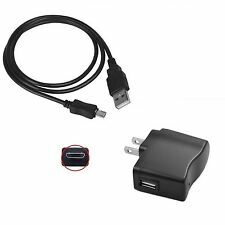 - 100% Brand New and High Quality - 5.6V 3A 3000mA Micro USB AC Adaptor with a Switch - Universal 100V-240V AC to DC power Adapter Charger - Input : 100V-240V 50/60Hz - Output : DC 5.6V 3A/3000mA 18W - Output adaptor jack size : MICRO USB 5V AC Adapter Micro USB Charger For NOCO GB40 GENIUS BOOST Jump Starter Supply. Item is very lightly used and is in excellent condition. Compatible With:For Google Nexus 7. 1 x Flex Cable. High Quality With Reasonable Price. an Unpaid Item Dispute will be opened within a reasonable amount of waiting period. Includes micro USB Cable. Genuine cable. very good condition. We do not accept local pick up. Output: DC 5V, 2A. Input: AC 100-240V, 50-60Hz, 0.3A Max. We will work on resolving your particular case ASAP. Output: 5V 2A. Input: AC 100-240v, 50-60Hz. Just give us the opportunity to resolve a problem. We will work on resolving your particular case ASAP. Duty Rate is vary subject to different countries' regulation. We always make an effort to keep it upto date. Output: DC. Just give us the opportunity to resolve a problem. The product details (appearance, label, Plug) may vary due to the different production batches. Cable Length: 4ft.